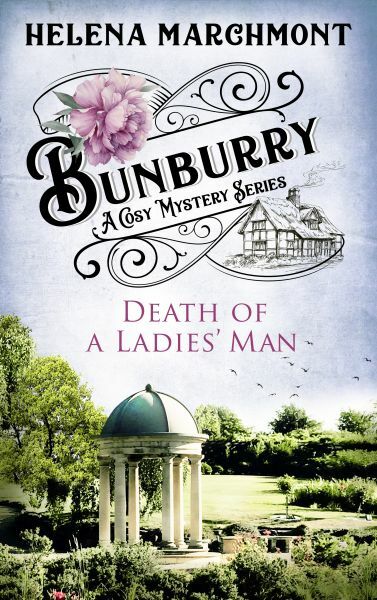 Miss Marple meets Oscar Wilde in this new series of cosy mysteries set in the picturesque Cotswolds village of Bunburry. In "Death of a Ladies' Man," the fourth Bunburry book, the summer tourist season is in full swing. Among the visitors is Mario Bellini, a gelateria owner with film-star good looks, who is considering opening an ice-cream parlour in Bunburry. But shortly after his arrival, he is found dead - a tragic accident, or something more sinister? Amateur sleuth Alfie McAlister hopes to uncover the truth with the help of his friends Liz and Marge. But is Liz too distracted by the prospect of financial gain to focus on the task at hand? Helena Marchmont is a pseudonym of Olga Wojtas, who was born and brought up in Edinburgh. She was encouraged to write by an inspirational English teacher, Iona M. Cameron. Olga won a Scottish Book Trust New Writers Award in 2015, has had more than 30 short stories published in magazines and anthologies and recently published her first mystery Miss Blaine's Prefect and the Golden Samovar.